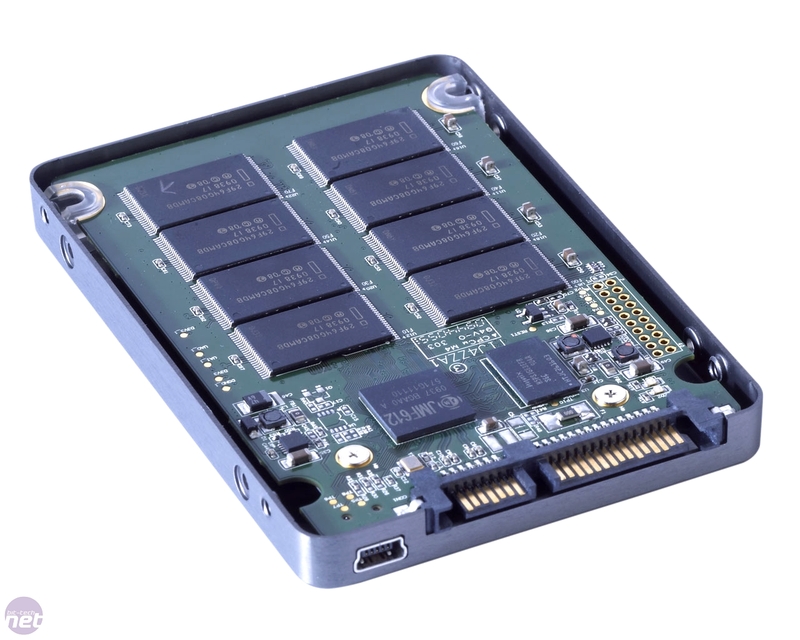 JMicron’s return to consumer SSD drive controllers comes in the typical 2.5in drive format that, barring OCZ’s still suspiciously absent Colossus drive or specialist and rare PCI-E drives, has become the standard for the SSD industry. The casing is made from two pieces of aluminium comprising a main piece into which the PCB is fitted and a removable aluminium base plate containing the precious electro-wizardry inside. So, in best bit-tech tradition, we swiftly removed said casing to have a gander inside. We quickly found a very recognisable layout that’s almost identical to any of the Indilinx drives we’ve looked at in the past year (bar the differing components), with the triumvirate of drive controller, cache chip and banks of NAND flash memory clearly visible. 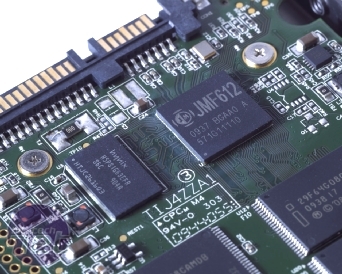 This is a major departure from the layout of JMicron’s original drives which omitted a dedicated cache and in the case of later drives such as the OCZ Apex, sported dual JMF 602 drive controllers. Here, a solitary JMicron JMF 612 drive controller takes central stage, and alongside it is a Hynix H5PS1G63EFRS6C 64MB DDR2 800MHz memory module used as the drive’s cache – a major new addition for a JMicron based SSD and one that’s arguably essential considering the previous stuttering issues. 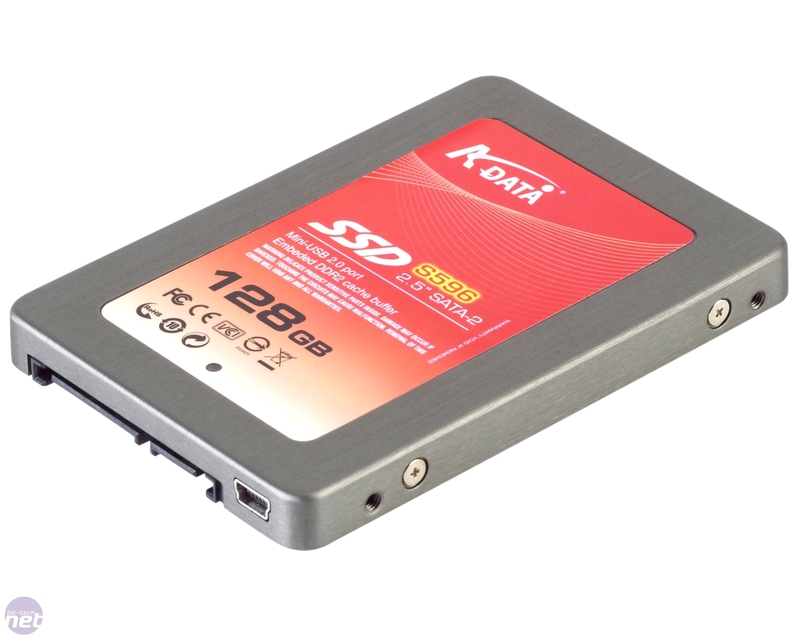 While the drive controller and cache are the most important parts of an SSD when determining performance they’re ironically also the cheapest (the cache by our estimates costs as little as $1.50). 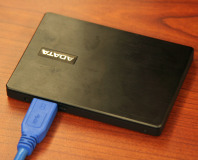 It’s the NAND flash which drives almost all of the price tag. 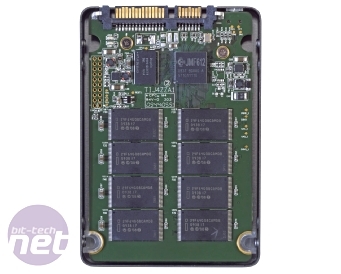 The sample we received is fitted with 128GB of Intel’s own brand of NAND flash, spilt across eight 16GB modules, eight fitted on either side of the PCB. The use of Intel NAND in a non-Intel SSD shouldn’t be surprising though as prices for Samsung’s NAND modules (used in most Indilinx drives) have risen steadily above that of competitors over the last few months as a result of reduced production and ever increasing demand. 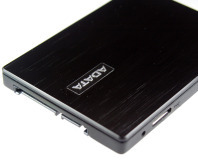 The different types of NAND do perform slightly differently though, so we hope there will be a way that partners are up front as to which NAND is used internally. 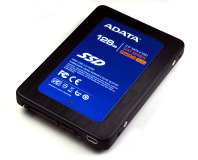 Unlike many of the other SSDs we’ve tested this year, Adata has fitted the S596 with a micro USB port as well as the usual SATA data and SATA power connections. How useful this turns out to be is debatable and the same feature was filtered out of the previous generation of JMicron drives. 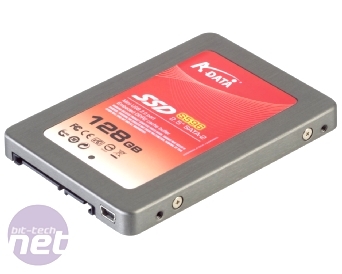 This drive should comfortably saturate USB 2.0’s transfer speeds, and, hopefully, surpass the performance of the OCZ Vertex via SATA. However, it's still limited by using very similar NAND flash modules, so we’re not expecting a great leap forward in the same way that the Indilinx controller offered upon its release.